Physiotherapy Clinic in North York consists of many aspects including prevention methods, correction, alleviation and recognizes dysfunctions of movement that fall under acute or chronic pain. Physiotherapy helps restore the body by influencing the functioning, movement and ability. Our physiotherapists work in conjunction with their patients to help diminish any restrictions of their physical functioning of health. Through this process, it helps improve normal bodily functions regardless of the individual’s age and condition. Here at PC Rehab and Service, our skilled health providers direct their main focus to the body’s main systems including neurological, cardiovascular and musculoskeletal systems. Through various studies, the management and treatment of major conditions such as spinal cord injury, stroke, diabetes, and brain injuries are important to treat. That’s why our professionals are able to provide the most effective mobility and treatments for our clients. North York’s Physiotherapy clinic has all the necessary tools and resources to help you and your recovery journey. To encourage home-based exercises, we also provide effective techniques to help promote recovery regardless of age or condition. We provide tailored programs individually based on the medical needs of the individual to help them prosper in their journey. We ensure that our programs are tailored to be an inclusive and well-developed plan constructed by our physiotherapy clinic in North York. Physiotherapy has a great impact on transforming a person’s ability and helping them take control over their health and wellbeing. Regardless of different demographic groups, health and conditions, physiotherapy is a key factor that helps maintain, store and improve any restricted physical functions that enhance and promote independence. Physiotherapy sessions are pain-free care plans that help improve various aspects about health. These include: joint mobility, improved cardio-respiratory functions, strengthens flexibility, increases strength and helps with the overall emotional, physical and mental state of the individual. Thus, our professionals are able to implement numerous techniques and treatments to help enable our clients to have full autonomy and independence. Our North York Physiotherapy clinic is a patient-centered setting that has a main goal of providing exceptional patient care. Specified to the condition, our professionals at the physiotherapy clinic in North York are able to provide sustainable approaches to our clients and help the monitoring of the programs. These approaches include: manual therapies, balance training, pain relieving modalities, education, stretches and home-based exercises. Our physiotherapy clinic North York professionals are able to provide quality services in addition to great recommendations for therapeutic programs that will ensure long-term improvements. At our North York physiotherapy clinic, we guide you through your recovery processes including the examination, diagnosis, customized treatment program and home-based exercises. Our clinic is determined to helping you improve your quality of life and make sure that your receive an effective and efficient recovery process. 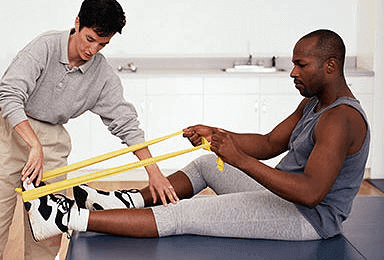 At PCR Rehab and Services, physiotherapy in North York, our trained professionals are equipped to encourage and motivate you to adapt to your new environment as well as finding the root cause to your discomfort as opposed to masking symptoms. Following this method, we are able to promote a quicker recovery while still providing quality services. Our professionals are determined to figure out the problem and provide treatment plans. In addition, we provide one-on-one care to help increase the quality of our treatments. With the advanced physiotherapy clinics in North York, our methods to help our clients recover and treat conditions, our clients are able to leave with the most optimal results. To learn more about our advanced physiotherapy center here at PCR Rehab Services, please contact us to find more details regarding your interests. Most extended health insurance companies under the Physiotherapy section cover physiotherapy. For any concerns regarding coverage, please contact PCR Rehab Services or your insurance company to see if you qualify for benefits.